Prince Alex, youngest Prince of Air, was certain that he would never have to wear a crown. With four older brothers between him and the throne, and only four elemental kingdoms, that was all but written in stone. While the thought of a future without a throne might be troubling to three of his brothers, to Alex it was liberating. He had his birds, especially his great barn owl Majesty, and his freedom. If only the girls of the kingdom would stop chasing him, he would be a very happy prince. Then a new Fire King was coronated. One that sought a prince for a mate. Vincent, newly crowned King of Fire, had always known that he would one day be obligated to make a royal alliance by marriage. It was the only way to ensure peace between the four kingdoms. When one was a royal heir, love simply didn’t enter into the equation when seeking a mate. If one found love, it was outside the bonds of wedlock. A match was made, but the journey between Air and Fire was long and treachery abounds. When an exiled Prince of Water ambushed the prince’s party, everything changed yet again. Young Alex lost everything, including his very identity. Forced to follow the Water Prince’s demands to keep his family safe, when the party reached the Kingdom of Fire, Alex was no more than a lowly bird-boy. 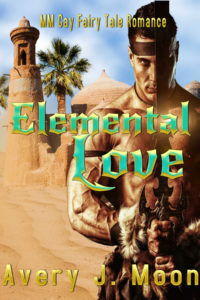 Can Vincent and Alex find each other in time to save the Fire Kingdom and discover the love that is their destiny? Note: This re-imagining of the Brothers Grimm fairy tale The Goose Girl is an MM Fantasy Romance with a few explicit scenes. This is a shorter novel of roughly 37,000 words.